Rishikesh is well known for its captivating natural attraction. This is the reason that Rishikesh has been one of the most favorite destinations among travel freaks. 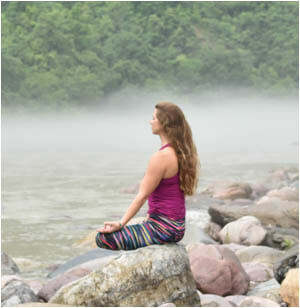 The other reason that makes Rishikesh such a buzzed name in the world is, the Yoga. Touted as the Yoga capital of the world, Rishikesh is enriched with the best affordable yoga retreats like Rishikesh Yog Mandir. Spending quality times at the reputed retreats like Rishikesh Yog Mandir can be one of the most brilliant holidaying ideas. Our yoga retreat in Rishikesh is situated at a location surrounded by scenic natural beauty. Moreover, all the top tourist attractions can be easily accessible from our retreat. Communication facilities from our center are also phenomenal. Rishikesh Yog Mandir provides all-inclusive yoga training programs. Being the best yoga retreat in Rishikesh, we assure the course structures are all certified with international Yoga alliance. Our training modules are supervised by renowned trainers having years of experience from top vedic gurukuls in India. The curriculums we design thoroughly meet the global standard. At the same time providing the retreat programs, here we offer complete yoga teacher training programs as well. Starting from 200 hour, 300 hour to 500 hour training programs, Rishikesh Yog Mandir can be the one-stop destination for all sorts of yoga ttc programs. Coming to yoga retreat programs, being the best yoga retreat in Rishikesh, we provide flexible short-term and long-term training programs. There are 7 days, 20 days, 25 days and one month course programs available made as per the demands of the travelers here. Post completion of yoga programs, the participants are provided globally acknowledged certificates that can be incredibly helpful for them professionally. Our certificate holds a lot of value among renowned global yoga institutions. 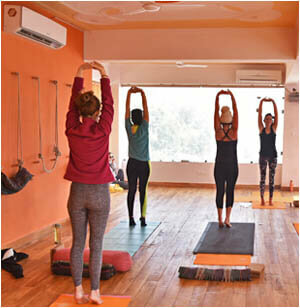 Rishikesh Yog Mandir is one of the most experienced yoga retreat in Rishikesh and also one of the best yoga and meditation retreat in Rishikesh. We are enriched with teachers having huge experience under their belt about yoga teacher training in Rishikesh. They are very much concerned about the contemporary yoga training standard. 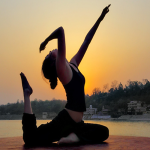 Powered by their immense experience, they develop comprehensive syllabus that covers all aspects of yoga, including Asanas, breathing techniques, meditation, biology, physiology, ayurveda, anatomy, ashtanga yoga retreat etc in Rishikesh. In addition, the participants are made aware of key teaching methodologies, technicalities, etc. The students are also given spiritual connectivity of yoga and modern day science. A yoga holiday in Rishikesh that teaches such crucial aspects can be absolutely life-changing. Rishikesh Yog Mandir is the most reputed yoga retreats in India when it comes about pranayam and meditation programs. These programs are primarily meant for self cleansing, physical relaxation and rejuvenation. Our program thoroughly enlightens the body, mind and spirit. Retreat programs we offer not just teaches the practitioners on how to execute the poses, but also inspires and makes them aware of the base of yoga traditions. Trainers here pay special emphasis on sensual uplift. It deepens their knowledge of breathing, body relaxation and streamlines meditation. In other words, we take the yoga retreat program to a new level, rising from conventional yoga postures only. We are among the exclusive yoga school in Rishikesh that manages to teach the students about crucial harmony of body and mind that can be attained through yoga practice. We teach the students about the crucial link between the body and mind that is essential to attain enlighten. By the end of the program, the participant manages to get thorough knowledge on key yogic relaxation and accomplishment. Rishikesh Yog Mandir has been one of the most preferred names for yoga teacher training in Rishikesh among the contemporary professionals. Our relaxation programs can heal their entire fatigue and mental stress. To be specific, the one-week and ten day programs have been highly desirable among the modern day professionals. The best part, these programs can be equally suitable for the beginners as well as those having immense experience. The practitioners are given complete knowledge on various postures for relieving physical stress. Complete knowledge on breathing techniques. Thorough knowledge regarding activation of various energy centers. Practices to deepen breathing technique and meditation. 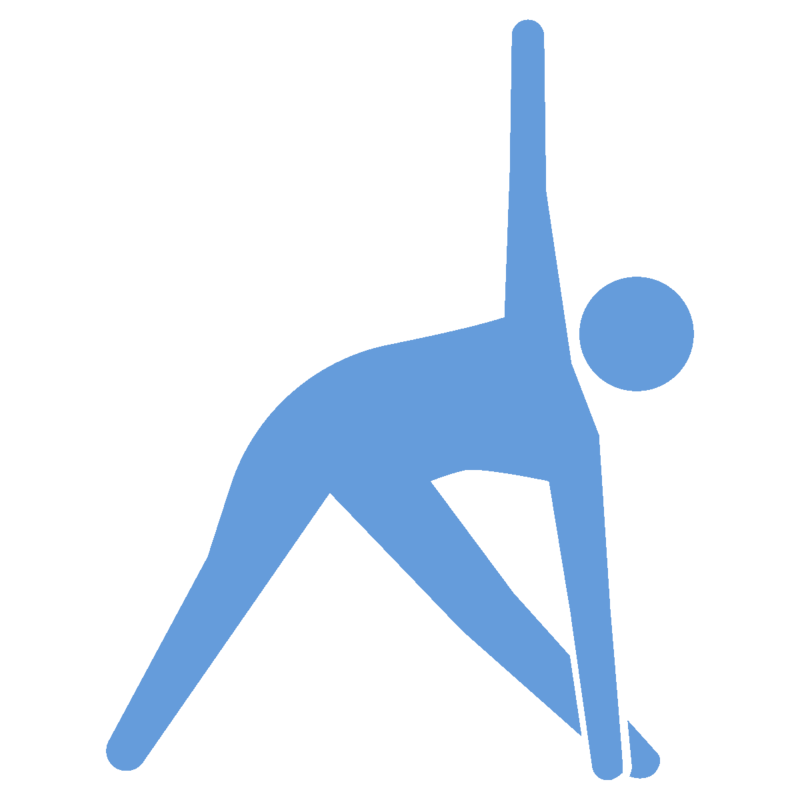 Complete knowledge regarding how yoga and breathing techniques can be used for numerous therapeutic processes. Techniques to maintain perfect sync between pranayam and meditation. Complete knowledge on Yoga therapeutic & yoga nidra. 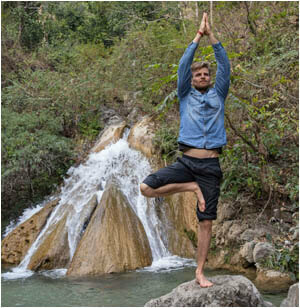 Rishikesh Yog Mandir bring you Rishikesh's best yoga retreats offering yoga holidays, classes and training. 06:30 am - 08:00 am Sun Salutation, Pranayama & Meditation. 08:00 am - 08:30 am Tea Time. 10:00 am - 11:00 am Breakfast. 11:00 am - 12:45 am Lecture class. 12:45 pm - 01:30 pm Lunch. 01:30 pm - 02:00 pm Karma yoga. 02:00 pm - 03:30 pm Rest/Self-study. 03:30 pm - 05:00 pm Lecture class. 05:00 pm - 06:45 pm Asana practice/ Hatha. 06:45 pm - 07:30 pm Dinner. Rishikesh Yog Mandir is the best yoga retreats in India. At the same time providing high-end teaching facilities, we are equally known for the high-end accommodation features as well. We want to ensure that the participants get all high-end facilities within the campus that can help them in making proper focus in studies. Following features makes us so much distinguishing in comparison to our competitors. Yoga in India is never limited within physical activities; rather, it is considered a complete lifestyle. Hence, here too we teach our students to follow the regulations as set by Maharshi Patanjali. These regulations are meant to teach the practitioner about Yama or their social behaviour and only feel accomplished when a student manages to transform successfully into a yogic lifestyle. The students are first given a complete overview of yoga, along with a technical explanation. The classes are conducted in sync with anatomy and physiology classes. Along with traditional yoga practice involving physical exercises, here the students are made realize about the relevance of in-depth yoga philosophy and ethics. We teach them about the relevance of such teaching methodologies to be successful in yoga. It has to be indeed different from western yoga styles; those are moreover about attaining physical fitness. Making the students confident, here we conduct classes in sync with the yoga therapies. These therapeutic classes help students in learning the advantage of yoga for better health. 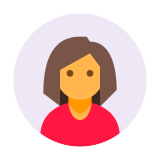 At the end of the course curriculum, the students have to appear for tests to prove their expertise. Passing the test makes them yoga experts, who can teach the world about yoga. It was an amazing retreat experience with Rishikesh Yog Mandir alongside the beautiful lush green beauty of Rishikesh. The accommodation was squeaky clean and the food was tasty as well as rejuvenating to the soul and body. The yoga retreat with Rishikesh Yog Mandir was a really transformational experience that was higher than my expectations. I would highly recommend this retreat for anyone looking to recharge with energy after long hectic life schedule. Rishikesh Yog mandir holds a really special place in my heart as here I discovered the real me and the teachers here created a real good lasting experience on my mind which is sure to last for a long time. This retreat experience was real fun along with learning the basics of yoga which helped me align my mind, body and soul while introducing the concept of yogic life. I would highly recommend this to everyone who requires a spiritual transformation. Being the best yoga retreat in Rishikesh India, we believe in maintaining the highest teaching standard for our students. On this context, we do follow strict guidelines set by our experts. We believe this is one of the prominent reasons behind the overwhelming success that we are enjoying at present. As one of the most prestigious yoga schools in India, we strictly follow the traditional vedic teaching methodologies. The prime purpose of choosing such method is to make the students physically fit, mentally strong and enriched with highest level of wisdom. By the end of teaching program, the practitioner manages to make yoga as the part of his/her lifestyle. Being a Vedic institution for yoga and meditation Rishikesh, here the daily routines are followed as per the Vedic regulations. Here we plan the activities as per the conducts set by the Vedas, for the specific season. Accordingly, the students have to maintain their behavior and activities. Yoga in India is never limited within physical activities; rather, it is considered a complete lifestyle. Similarly, here we teach our students to follow the regulations as set by Maharshi Patanjali. These regulations are meant to teach the practitioner about Yama or their social behavior and only feel accomplished when a student manages to transform successfully in to a yogic lifestyle. No matter, it’s all about the yoga exercises for beginners in Rishikesh or the experts, the code of conduct as explained above are expected to be practiced and followed by all. In fact, we make the practitioner very much aware of the same prior they enroll or register at our institution. However, we also teach them about the relevance of such teaching methodologies to be successful in yoga. It has to be indeed different from western yoga styles; those are moreover about attaining physical fitness. Interested people can apply for a course program of their interest directly at the institution. They can also apply online by filling up the form and following the requisite online procedures. We accept both online and offline mode of payment. Hence, one may pay in any of the above modes he/she wishes. If any confusion arises or for any doubt, please feel free to contact us. You can call us anytime as our customer team remains 24x7 available to answer the calls. Otherwise, you may mail us as well. Anyone having interest in yoga is eligible for our program. There is absolutely no educational qualification required, neither is there any fitness rule. Irrespective of age, weight height, educational background, nationality, religion, caste, community, etc., anyone can apply for these programs. All you need to ensure is that you have to follow certain rules, part of the training program, during their tenure at our institution. However, one can be eligible for the certificates only after clearing the tests. We can’t compromise in any way with discipline.It is essential for the students to do/submit the homework on time.Students are advised to stay within the campus after 10 PM.It is expected from them to keep the due patience. We are not going to allow any misconduct or misbehaviour within the campus. They have to behave the right way to the teachers and other staffs within the campus. In contrary to the same, we will take disciplinary action against the concerned student. If felt. We may dismiss the student from the institution restricting him/her to continue with the study any further. To be eligible for appearing the examination, it is mandatory for a student to attain at least 90% attendance. The student has to make 90% attendance in both theory and practical test. Though we expect the students to attain `100% attendance, we also understand that there remain physical and other constraints, which can’t be avoided. In such occasions, the student has to notify the concerned authority prior the class applying the proper format. We are very strict regarding our refund policy. Once booked, the booking amount can’t be returned in any circumstance. However, one may pursue the same program in any other batch. But, it is here to mention that they have to pursue the program within one year from the date of booking. We don’t refund the money to those who fail to get the certificate, be it for failing in the examinations, or being rusticated as a disciplinary action. We understand the fact that many participants join our programs to fulfil their professional aim. They ultimately aim for the certificate we issue, as it holds a lot of value and helps them significantly in getting a job. However, it is here to mention that one has to clear the test as set by the institution successfully. The student has to clear the theoretical test, as well as the practical test to be awarded the certificate. The students should understand it well that the schedule set by us can’t be changed in any circumstance. They might change their batch, but, it is not possible for us to change the schedule in any manner.